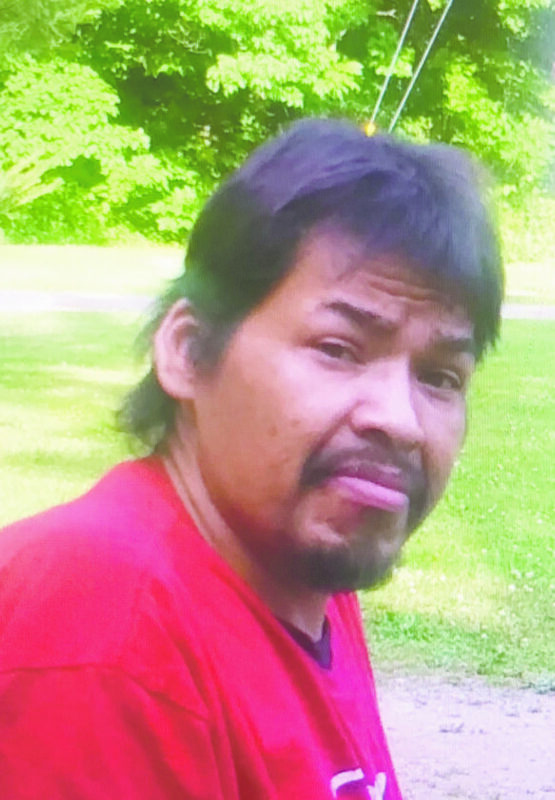 Matthew J. Whitepigeon "Beaver Clan"
IRVING, NY: Matthew J. Whitepigeon of Route 438 passed away Thursday August 2, 2018. Matthew was 42 years old. Born October 2, 1975 the son of Philip Whitepigeon. Sr and Denise Wahbememe of Irving. Survivors also include 4 children, 2 sons Marcus Whitepigeon and Jeremiah Whitepigeon of Gowanda along with 2 daughters; Keely Whitepigeon and Gabrielle Whitepigeon of Irving. Matthew is also survived by a brother Philip M. Whitepigeon Jr. of Irving and an Uncle Steve Seneca also of Irving. Matthew was preceded in death by 3 siblings; Mark, Andrea and Lesten Whitepigeon. Friends may call at the family residence 12477 Route 438 Irving on Saturday and until 11 a.m. on Sunday. Funeral Service will be held Sunday August 5, 2018 @ 1 p.m. from the Cattaraugus Wesleyan Indian Chapel Church ( please assemble at church) 12728 Route 438 Irving. Rev. John Williams Officiating. Interment to follow in the family cemetery.